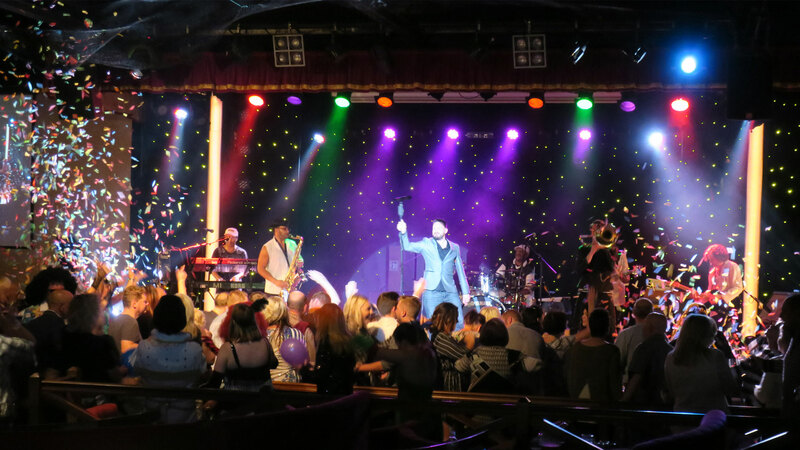 There is always something special going on at the spectacular Club Tropicana, You'll love it! Dancing to live bands, listening to great singers and laughing with very funny comedians. With our high tech lighting and superb sound system which is the envy of the East Coast, our entertainment is presented in a manner only equalled by stage shows in the West End. 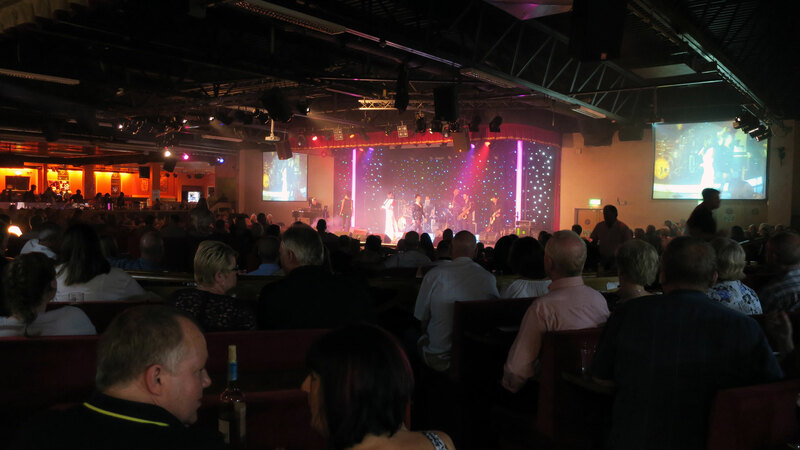 Our seating is tiered to give a great view of the stage wherever you sit in our 2,000 seater venue. So you will never miss any of the amazing entertainment on offer. In main season we also have our fabulous resident cast including Vocalists and Dancers performing spectacular shows all backed LIVE! by our superb resident house band as well as visiting cabaret stars nightly. If all this fabulous entertainment is not enough for you, we also have several sessions of Bingo during the course of each and every night, with the chance of winning BIG MONEY! Totally Tina & The Rollin' Clones, creating a fantastic night of live music at its best. Tickets: Adult £7.00 in advance or £9.00 on the day. 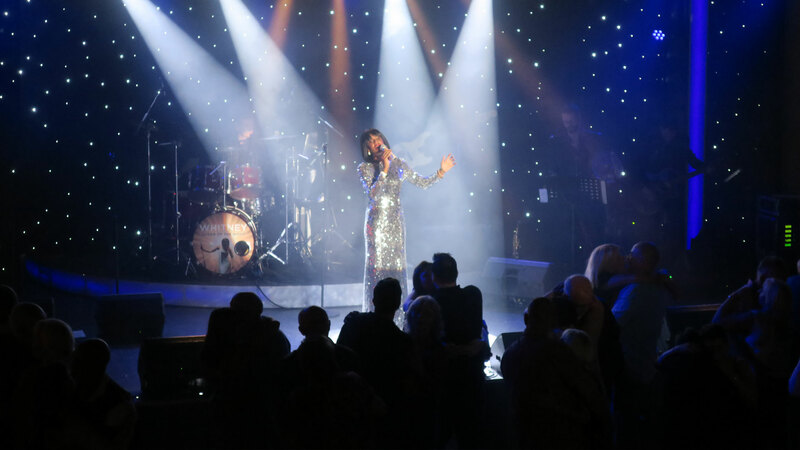 Justine Riddoch is Totally TINA and is the UK’s Official No.1 Tribute to Tina Turner as voted for by the Agents Association of Great Britain at the 2017 National Tribute Music Awards. Totally Tina’s entire Cast and Production Team have spent many years creating a show to simply ‘wow’ audiences by endless studying of Tina’s own live performances to bring you the very best, faithful and explosive tribute to the “Queen of Rock n Roll” Tina Turner. 7 British musicians from London including an amazing Mick Jagger (Alex Larke) create a stunning and unique stage performance . The “Rollin Clones ” from London are now considered the very best Rolling Stones Tribute Band in the world by fans, and they will show you why !